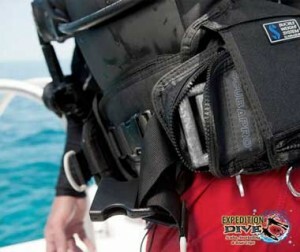 Divers wear weighting systems, weight belts or weights, generally made of lead, to counteract the buoyancy of other diving equipment, such as diving suits and aluminium diving cylinders. Wearing the right amount of weight is essential to achieving buoyancy superstar status. When weighted properly and holding a normal breath, you should float at eye level. Then you’ll be able to sink slowly below the surface feet first when you relax and fully exhale, making sure you’ve dumped all the air out of your BC as well as out of your lungs. If you’re using a full scuba tank when you do this check, then add 2.5kg/5lbs to offset the air you use up while diving. 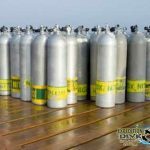 These types of peak performance buoyancy skills are the basis for easy scuba diving.